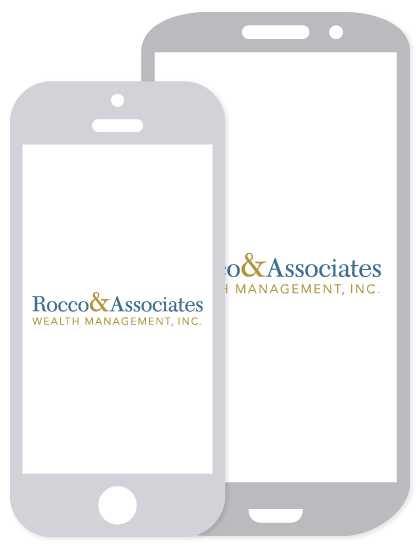 Around the Office - May 2015 | Rocco & Associates Wealth Management, Inc.
After a very long, cold winter, we seem to have finally settled into a true warming pattern; and we can’t imagine there is anyone in New England disappointed about that! Downtown Fairfield is once again bustling with life, while local restaurants and retailers welcome back the long awaited foot traffic. Here at Rocco & Associates, we are getting ready to welcome two new summer interns and peeling the draft plastic away from the windows to let the warm breezes filter in. We are even planning to host a BBQ during the next few months! This event will be a great opportunity for us to celebrate the summer season with our clients, friends, and business partners. At this point, we would like your feedback and suggestions for food selection, activities for the kids to enjoy, and even a few themes that we could all have some fun with. To assist you with some ideas, we would like to hold the event at one of Fairfield’s beaches, overlooking picturesque Long Island Sound. Please email any suggestions to Eric at [email protected]. We look forward to hearing from you! On Tuesday, April 22nd, the team at Rocco & Associates split up into two groups to participate in local community events. For our loyal readers, you will recall that we have been actively involved with the CT Food Bank, who has a distribution center right here in Fairfield. In addition to helping raise funds and awareness for those in need throughout Fairfield County and beyond, we help pack lunches for the Kids Backpack Program. Each week while school is in session, the CT Food Bank feeds over 3,100 children through this program, partnering with the local public school systems, teachers, and staff to identify students who are at risk of going hungry when they do not have access to school meals. To keep it interesting, we challenged our friends from the Signature Group, LLC (www.signatureg.com), a commercial real estate firm in Darien, CT, to a friendly competition to see who could assemble the most meals. Between both teams, 900 meals were packed - that’s 28% of the week’s meals in just under 3 hours! Great work everyone! If you would like to get involved with either of these great causes, please email Eric at [email protected] for more information. Over the past two years we have made significant changes in how we communicate with you, our trusted clients. Keeping you informed with the most up-to-date information is key to our growing relationship. Delivering that information to you in a preferred method is also very important to us. Although we will always make paper copies of any of our communications available, many of you have jumped on the “green” bandwagon. Our Client Satisfaction Surveys and Financial Strategy Reviews can now be received and returned electronically, decreasing the turnaround time and allowing us to service you and your accounts more efficiently, especially if changes need to be made. Recently, we began electronically delivering our Portfolio Manager Reports as well. These account summaries, on average we estimate, could reduce as much as 12,000 sheets of paper annually! Should you have any questions on these initiatives, please do not hesitate to give the office a call. Just as a reminder, many of the documents that require a signature can also be completed electronically using our safe and secure eSignature system. “I first started out at Rocco & Associates in the winter of my junior year as a Business Development Intern. With no prior internship experience, I was not really sure what to expect when I first accepted the position. My main objectives were to learn something new every day and to also figure out if finance and business in general would be the right industry to enter into for a future career. I did all that and more and couldn’t be more grateful for the opportunity that Rocco & Associates has given me.